Disponible en Amazon, Dugu lo importa a Chile. PIG. 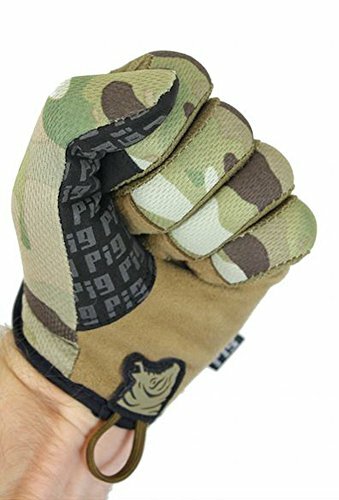 SPECIAL OPERATIONS PROVEN- PIG FDT Delta Gloves have been proven in combat by US Special Operations soldiers who require MAXIMUM dexterity for fast & accurate shooting with Rifle AND Handgun! 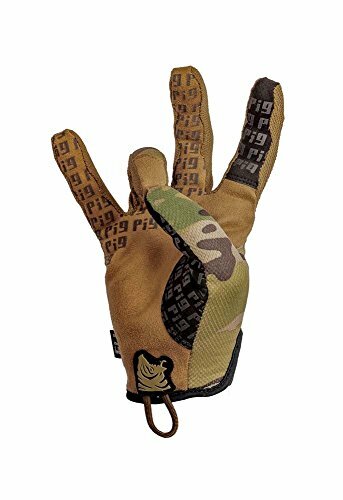 The PIG FDT Delta (minimalist), Alpha (original) and Bravo (FR) Gloves have ALL been fielded by Special Operations Soldiers & Units. 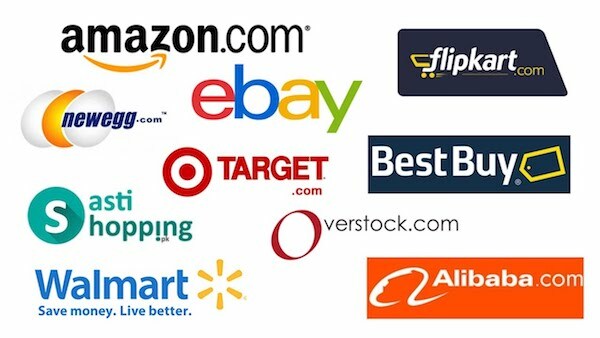 We even offer women's specific versions (Charlie & Echo models). BAREHAND SHOOTING FEEL- Single Layer Multi-Piece Palm - Designed specifically so that only one layer of material contacts your shooting grip. The thinnest available material goes specifically on the trigger finger for ultimate sensitivity. Knuckle padding is thin enough to reach into your pockets- try doing that with your hard knuckle gloves- #nope OPERATE YOUR TOUCH SCREEN- Touch Screen Conductive Thumb and Trigger Finger material - Maximum reliability for Touch Screen use without losing tactile dexterity. COMFORTABLE & DRY HANDS- Roll-over fingertip design means no more jammed seams under your fingernails! The venting material on the inner fourschettes are ventilated for maximum wicking. TIE YOUR SHOELACES- Not trying to be facetious... This is a great test for dexterity. 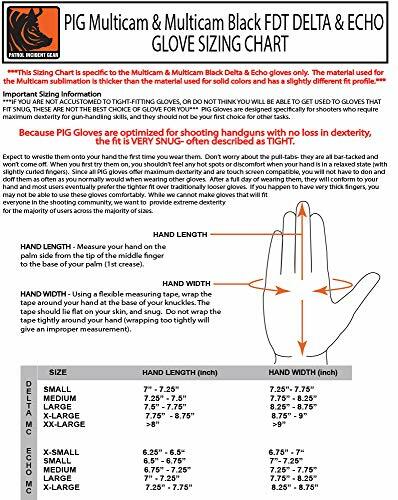 Most "tactical gloves" or "shooting gloves" don't come close to the dexterity needed to shoot your Handguns fast and accurately, much less accomplish a complicated task like tying your shoelaces. 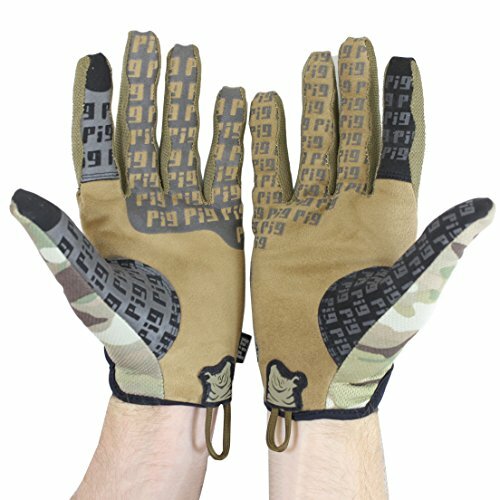 PIG FDT Gloves provide you with the dexterity to do just that! 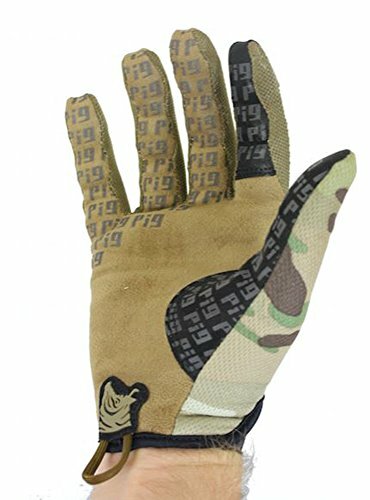 We are excited to announce the arrival of the newest glove in our PIG lineup, the Full Dexterity Tactical (FDT) Delta Utility Glove in MULTICAM! 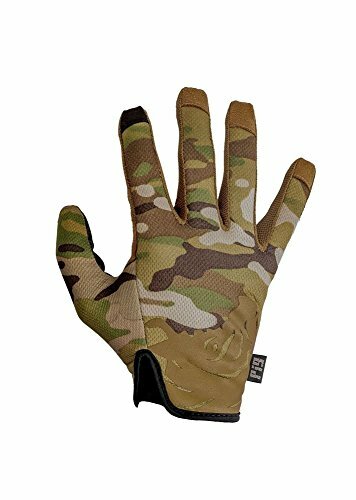 This premium slip-on tactical glove offers the most popular features from our other FDT models in a low-cost option that still gives you the superior high-dexterity fit you only get from the PIG Full Dexterity Tactical line-up. The addition of a breathable 3D mesh material in genuine Multicam print. 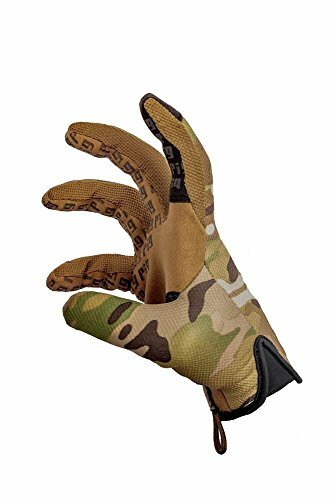 If you use your tactical shooting gloves both on and off the range, the PIG FDT Delta Utility Glove is the best solution on the market today for ease of use, durability and the tactile-dexterity you need to make your shot count!